There are four attractive wooden constructions at Millers Pond - firstly the viewing platform, very popular for wildlife lovers. There is a dipping platform where many local school children gather when visiting the park. There is also a shady boardwalk where children love to hide and a duck platform on the large island. The Friends of Millers Pond help keep the park the beautiful, clean and looked after amenity that many visitors enjoy. No Fishing is allowed in the pond and dogs must be kept on a lead. The Old Wishing Tree - will it make your wishes come true? 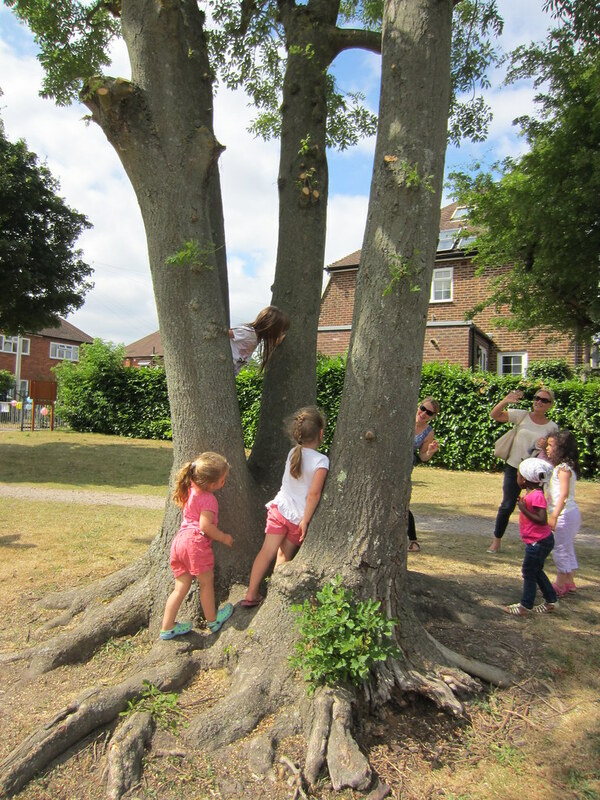 A rumour among local residents says that there is a very old tree on the smaller green and if you put your hands either side of this tree and make a wish - it will come true.